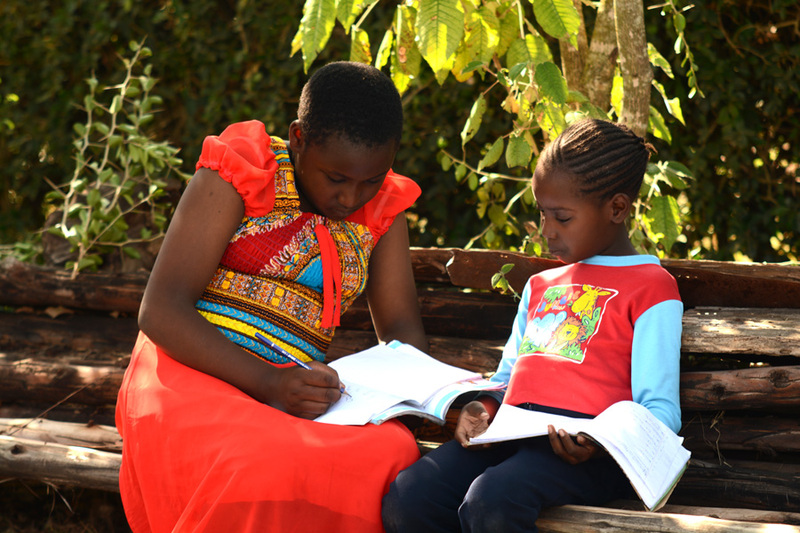 Growing up in a Maasai community in rural Kenya, Ruth was fortunate to have a mother who encouraged her education. Ruth shares with us how influential her mother and Compassion have been in the pursuit of her dreams. I remember the first time I tried to milk a cow. I was barely five years old and in my home in Oloirien village. The sight of the cow was intimidating as it towered over me. With fresh cow dung spattered around the cow, I was hesitant. As my shaking little hands slowly reached for the teats, the cow squirmed and lightly kicked me. Milking the cow seemed like an insurmountable feat. The sound of my mother’s voice urging me on lifted my morale. If mum believed I could do it, I definitely could. I grabbed the teat once more and gently squeezed. The cow gave a whimper and then little trickles of milk began to flow. I had barely filled up the cup before my mother took over for the cow was getting restless. I ran out of the shed, off to find my sisters to share with them what I just achieved. You see, my sisters and I spend a lot of time together—washing dishes, cleaning the compound and cooking. Sometimes, we laze around talking about our friends, our experiences of growing up and our future dreams and aspirations. My sisters have such big dreams. Purity, 21, wants to be a doctor—not for people but for animals. True to our heritage, she adores animals. I tell her that they are called veterinarians but she insists that she is right. Virginia, 19, wants to be lawyer which would suit her as she never loses an argument. Seven-year-old Hellen doesn’t yet know what she wants to be. I love being her big sister. I help her with her homework when Purity and Virginia are away at boarding school. We talk about our dreams so much as our parents’ value education and insist we work hard in order to achieve them. Our mother reminds us that she never had an education and would love to have the opportunities we have. So many women, like my mother, are hindered by cultural practices that stop them from attaining their dreams. They don’t have a voice. I grew up in a Maasai community. Typically Maasai girls are likely to undergo female genital mutilation (FGM) between the ages of 11 and 13. There is also a high instance of early and arranged marriages. 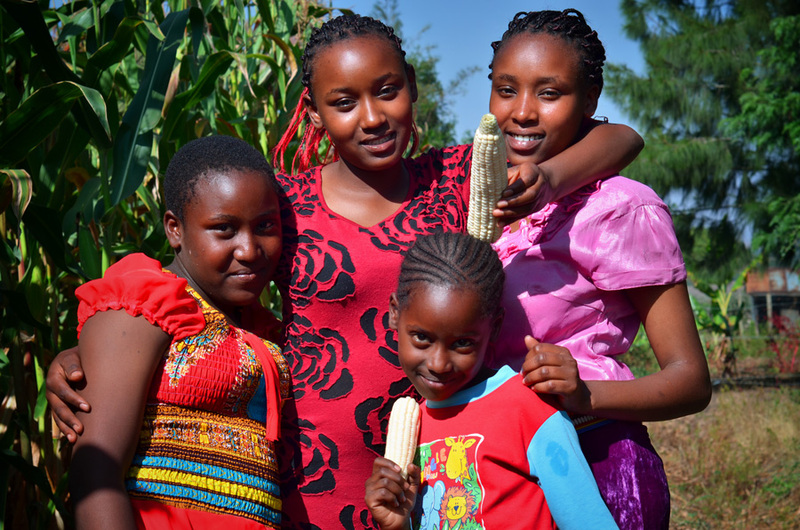 Maasai girls are far less likely to attend school than boys due to these issues. Other issues including the spread of HIV, high fertility rates and diminishing resources leave many families struggling. As we depend heavily on pastoralism for our livelihoods, regular famines turn our otherwise beautiful villages into wastelands. It is women and children who bear the brunt of nature’s wrath. It is common to find entire villages devoid of men as they are away with their livestock in search of pasture—a journey taking them far away from home for months at a time. While they are gone, the women are left to provide for their children when resources are meagre and food and water scarce. Our village has gradually transformed into a very cosmopolitan settlement due to an influx of city dwellers purchasing land and settling. Unfortunately, with them they’ve brought negative influences such as drug abuse, alcoholism, and the erosion of some of our traditions. People have become more individualistic and the communal ethos diminished. It’s a different landscape than my mother had growing up. She reminisces of a time with many role models, where the community was a close knit family, offering guidance and counselling to children. She found support within her community. There was always someone to comfort you, teach you, provide for you, be your friend, socialise with, have fun with and help out in times of trial. It was a time where parents looked out for children, regardless of if they were their own. Where if my mother got into mischief and someone saw, they would tell her parents. This doesn’t happen anymore. It’s why many young boys and girls are succumbing to peer pressure and falling into the traps of immorality, drug and alcohol abuse. But not me. I’m blessed to have many advisors. In 2009 I was fortunate to join the Compassion ACK Child Development Centre. It was there I met my teachers David and Wilson who introduced me to the Word of God when they gave me my first Bible. I enjoy reading and studying the Word of God—it has given me a good and solid foundation. At the centre I discovered my talent for singing and dancing. I’m now an active member of a youth group at my local church called ‘Brigade’. We are involved in evangelism, outreach missions and discipleship. I love being their resident disc jockey. It’s wonderful having a teacher like David who is very passionate about education. He wants us to fulfil our God-given potential in life. He realises it’s difficult to find professional women to be the role models in our community as not many women have been able to benefit from an education, limiting their potential to thrive professionally—a situation we can change. Compassion has taught me I can amount to anything if I put my mind to it, despite my background. The biggest obstacle in my way is me, but with discipline and a positive attitude, no feat is too great. Just like my first time milking the cow. Now, my hands are accustomed to milking a cow by myself, filling more than just a cup of milk without the kicks and squirms from the cows. These same hands repair broken gadgets around the house. Every time I fix something, I am proud as I see the happiness in my family’s faces. Knowing all these people are on the sidelines rooting for me gives me the motivation to want to achieve my dreams. I know I will someday become the electrical engineer I hope to be. Those voices—like my mother’s who urges me on when I’m in doubt—are the constant encouragement and reassurance that every child needs. Sponsor a child and give them the opportunity to achieve their dreams.